From one restaurant in Seattle, where he served affordable steak dinners, the colorful and adventurous Mr. Anderson built a business that eventually grew to more than 120 Black Angus restaurants across the United States. From one restaurant in Seattle, where he served affordable steak dinners, Stuart Anderson built a business that eventually grew to more than 120 Black Angus restaurants across the United States. His wife, Helen Anderson, said there was a line out the door when he opened that first Stuart Anderson’s Black Angus Restaurant in 1964 on Elliott Avenue near Western Avenue. It was a one-price $2.95 steak dinner, with green salad in a wood bowl and “your choice of steak and baked potato served on a sizzling platter — because he believed in selling the sizzle,” she said. 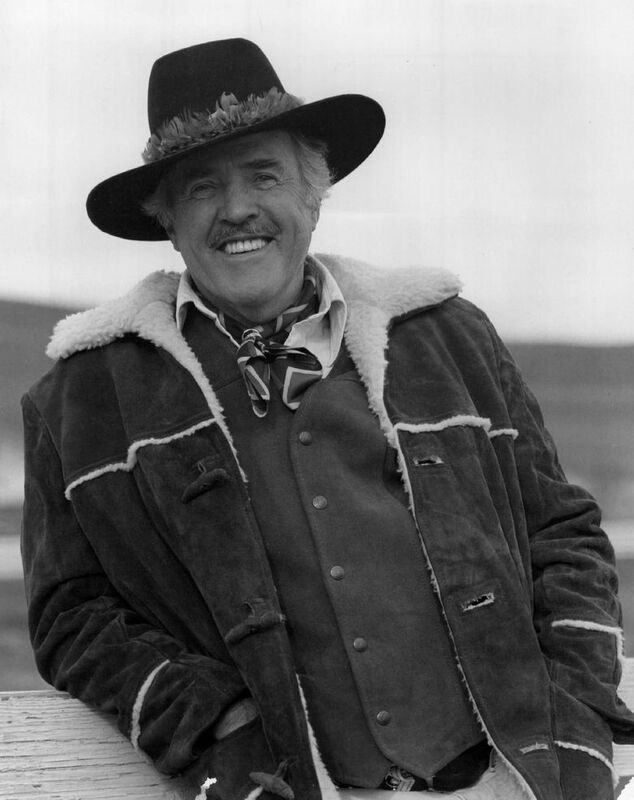 Mr. Anderson died Monday from lung cancer, surrounded by his family at his home in Rancho Mirage, Calif. He was 93. The son of Dr. Roger Anderson, an orthopedic surgeon, and Susan Carver Anderson, Stuart Anderson was born in Tacoma and grew up in Seattle. After serving in the army during World War II, Mr. Anderson returned to Seattle, where he leased a hotel and opened a restaurant in it called The French Quarter — his first restaurant. Mr. Anderson opened 140 restaurants in his lifetime, including the Black Angus restaurants, and employed more than 10,000 people, his wife said. 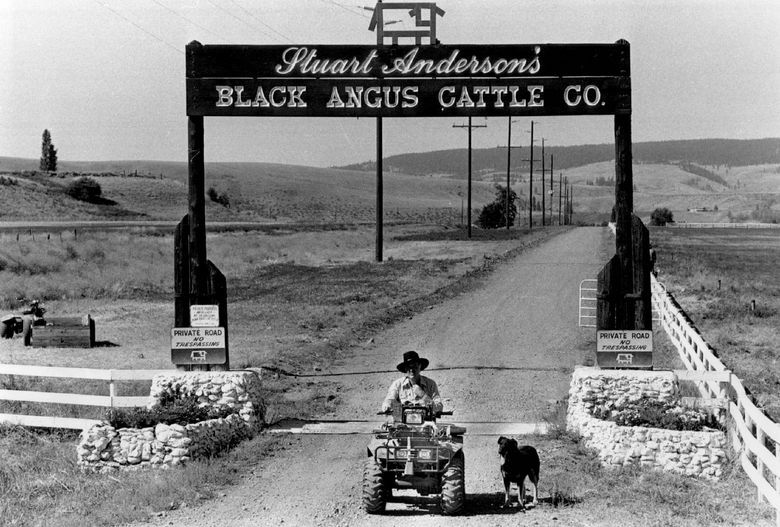 When he retired in 1986, there were 122 Black Angus locations. After food service giant Saga acquired Black Angus in 1972, the restaurant chain changed hands several more times. Today, there are about 45 Black Angus steakhouses, most of them in California. Seven are in Washington state, including four in the Puget Sound area. Mr. Anderson would say of his business success that he knew how to hire people, his wife said. “His favorite saying was: ‘I was the smartest one of all because I hired people smarter than me,’ ” she said. Though Mr. Anderson loved being around people, at times he also craved solitude. He found it on his 2,400-acre ranch in Thorp, Kittitas County, where he raised cattle, horses and sheep, his wife said. Mr. Anderson and his wife were also avid travelers, going to New Zealand to look at electric fences, going on safari in Africa and taking a freighter trip for 42 days. In addition to his wife, Helen, Mr. Anderson is survived by daughters Christopher Gee and Quincy Anderson, two grandsons, a great grandson, a stepson, a step grandson, and the mother of his daughters, Marilyn McKenzie. A private family gathering is being planned in Seattle. A celebration of life will be held in Rancho Mirage at a date to be determined. In lieu of flowers, contributions may be sent to the Juvenile Diabetes Research Foundation, Attn: Memorials, 120 Wall St., 19th Floor, New York, NY 10005-4001, or to Umbrella Ministries, P.O. Box 4906, Palm Springs, CA 92263.